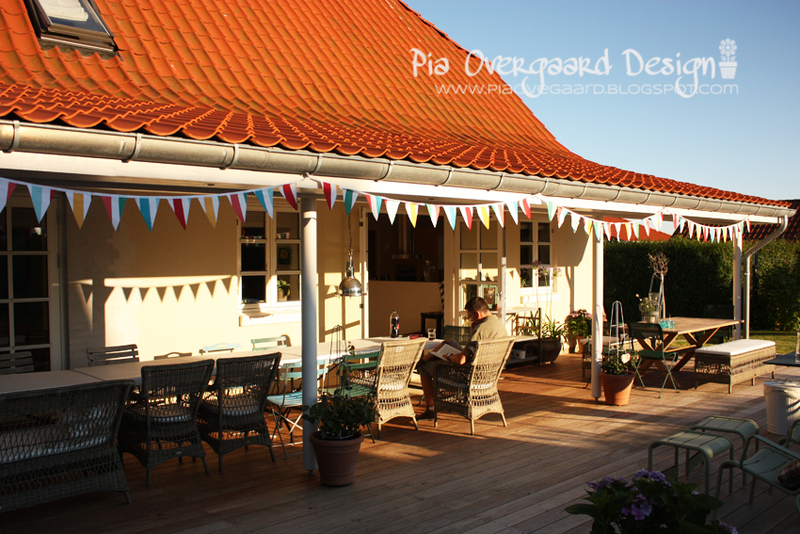 A few weeks ago we hosted a party at our place and for this I bought some very bright colored pennants for the porch. 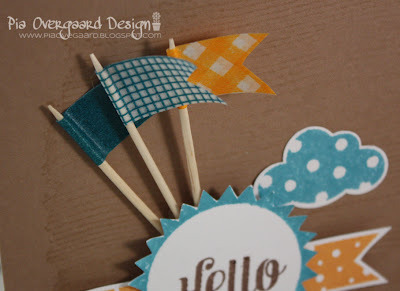 I actually didn't like these afterall - I had more something like these soft colored pennants in mind... So pretty! Huh?? And I will leave you with a card also using pennants - these ones I created with washi tape and some great Hero Arts /Studio Calico Stamps. 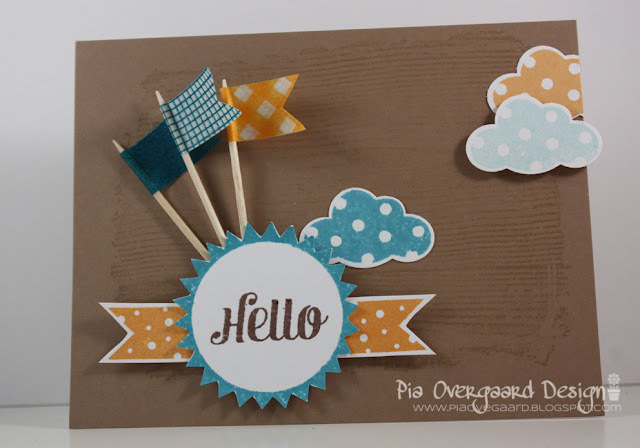 Stamps: Hero Arts You are the Best ST510, Hero Arts Hooray ST509, Hero Arts Woodgrain Pattern S5100. Sorry for the long post today. Thank you so much for stopping by! Love your long patio and the lovely sunlight you were getting! 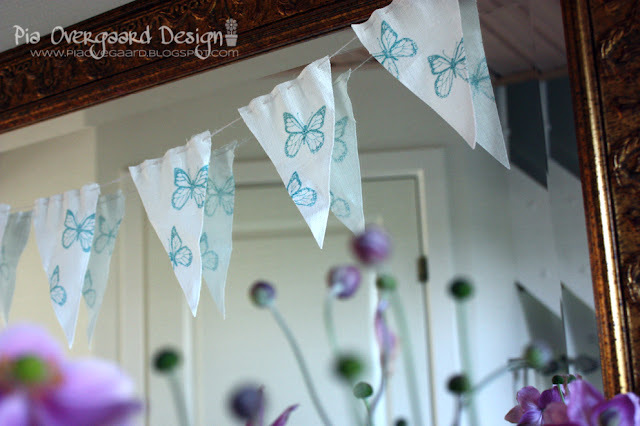 Those pennants with the HA butterfly is simply beautiful! Love the card you made too, such nice colour combo! Beautiful house!!!!! Super! And I also love your cards! Your pennants with the butterflies are gorgeous Pia, and what a stunning house you have. I have also been making pennants but with blue and pink gingham fabric,I love gingham! How fabulous is this?! 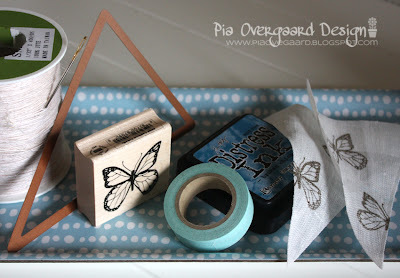 Love the inspiration photo and how festive you have decorated your home with this idea!! Simply love it, Pia! Love your post of today, what a great place to live!! I am so glad that you are blogging more regularly, I used to follow you at Flickr, but it is really nice to visit your blog! !